With fashion’s most exciting new season just around the corner, it’s hard not to splurge your entire paycheck, savings, and secret stash you acquired from selling your wares at The Real Real in order to get your hands on a fully fledged fall wardrobe. And with so many exciting new-season trends tempting us as the leaves start to turn brown, it can be hard to procure all of the latest offerings, (especially if you’ve spent all your hard earned cash on one too many sangrias during your sun- and sand-filled getaway(s) this summer. So how do you keep up with the trends if you’re—to put it politely—flat broke? The key is to add one or two key pieces into your daily wardrobe that clearly say I’m au courant with this trend instead of attempting to kit yourself out from head to toe. Luckily, we’ve done the hard work for you and scoured our budget-friendly retailers for some of the latest trends (that look way more expensive than they are) and selected the pieces worth buying for the new season. Scroll below for some tips, tricks, and shopping picks to help you stay on trend when you’re broke. From zebra to leopard and faux snakeskin—animal print is one of fall’s biggest trends. 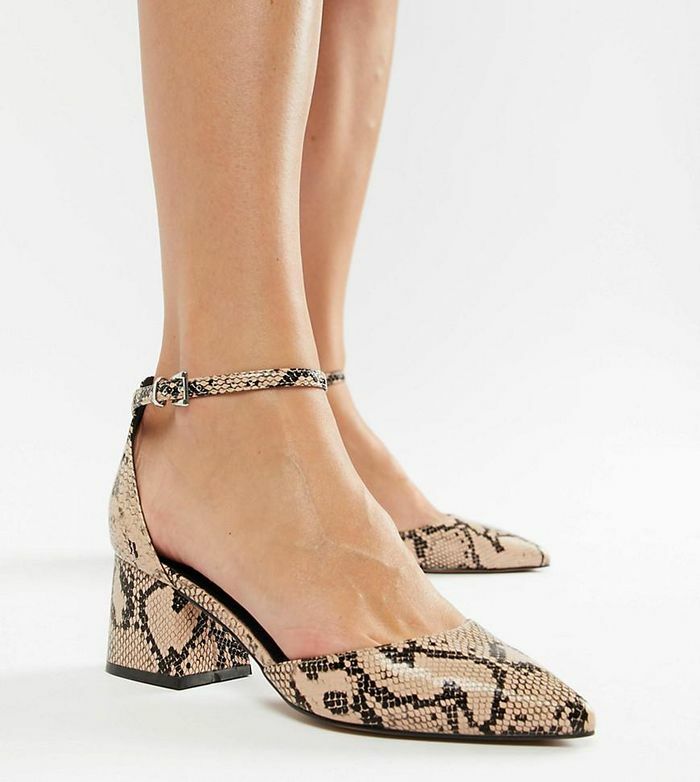 The easiest and most affordable way to add it into your outfit is with a statement accessory—think trendy snakeskin shoes or a cool clutch. Go big or go home said the fall runways with the plethora of glitzy and uniquely shaped earrings that dominated fall fashion week. Opt for a single statement earring, artsy mismatched danglers, or glitzy chandelier earrings. Mango, The Outnet, and Amazon are our favorites for contemporary and cost-effective statement earrings that look way more expensive than they actually are. The check print is back in all shapes, sizes, and colors this season. Instead of spending your paycheck on a full plaid suit or coat, opt for a versatile heritage print skirt that you can wear with any staple top from day to night. Sure, big designer name logo bags are everywhere this season, but if you don’t want to drop a small fortune on one of those, opt for one of the many other bag trends instead. May we suggest a much-more affordable hands-free belt-bag or trendy neck bag that will still garner plenty of likes on your Instagram come fall. The coolest way to add the Western trend to your outfit is with an edgy pair of cowboy boots. ASOS has an incredibly affordable selection that you can wear with everything from jeans to miniskirts. If you want an easy and incredibly affordable autumn update, reach for some snazzy hair accessories. They were all over the fall runways in the form of silk scarves tied around the head or in ponytails, thick headbands (and comb headbands! ), or blingy hair clips worn in abundance. Try these for an instant update.